The easiest way is to update your billing details by resubscribing to your current package. Just go to https://serpbook.com/serp/billing. You should see this page. If you've subscribed through 2CheckOut, you can update your credit/debit card by going to 2CheckOut, on this page you will be asked to give your PayPal invoice ID and your email address. 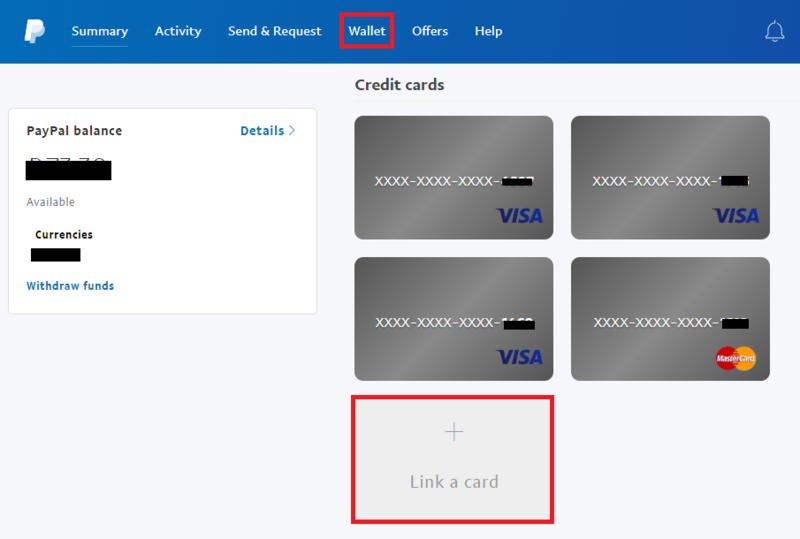 Lastly, you can also update you card details on PayPal and it should be updated in our system as well. 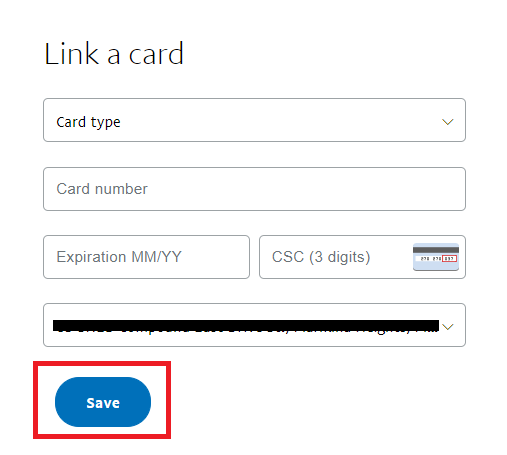 Just click Wallet at the top of the page then click "Link a card" to add a new card or click an existing card to update the information and it will show you the edit page. 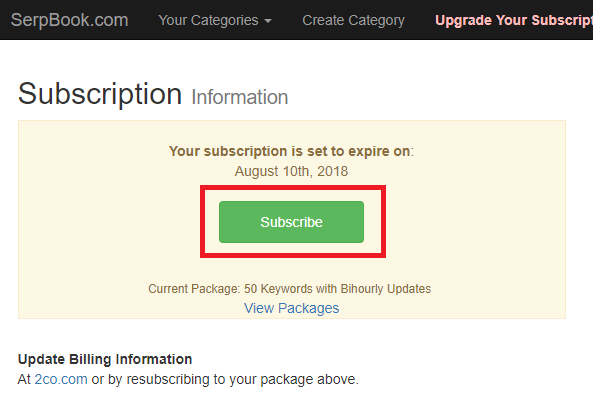 Note: Your historical keyword information and keywords will not be affected when you resubscribe.